Raj Wilkinson is Joint Managing Director and Creative Director of JHP. His creative energy has been fundamental to JHP’s success since joining in 1985. His intuitive understanding of space and its potential for any and all commercial activity is one of the practice’s greatest assets. Neither happy nor comfortable without a sketchbook to hand, his work transforming London’s Selfridges department store into the ultimate ‘Day Cub’ is legendary amongst the design fraternity. Never afraid to be frank regarding clients’ challenges and opportunities, he ensures that all JHP work is in harmony with the over-riding business proposition. 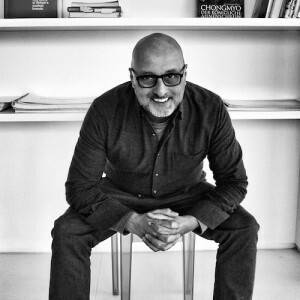 Over his professional career Raj has won at the D&AD Awards, Design Week Awards, EuroShop Awards, FAB Awards, FX Awards, Queens Award for Export Excellence, Retail Interiors Awards, Retail & Leisure Awards, VM&RD Awards, World Retail Awards and US Retail Design Institute Awards.